Friday November 30th, 2012 marked the thirtieth anniversary of the release of the best selling album of all time: Michael Jackson’s Thriller. Released on the last day of November, 1982 the album changed the face of music for all time and installed Michael as the King of Pop, the most popular black musician of all time and a global icon. Growing up in the eighties and nineties, every home with a VCR had a tape of Thriller and the songs Billie Jean, Wanna Be Startin’ Something, and Beat It where trendy fare. 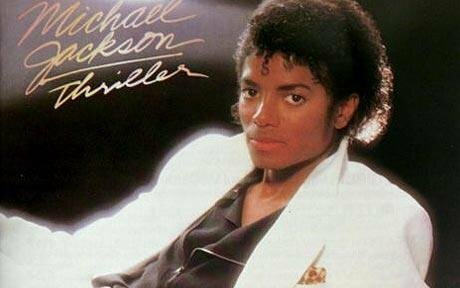 Thriller, the sixth album of Jackson, produced by the masterful Quincy Jones and featuring Paul McCartney and Eddie Van Halen, went 29x Platinum but the main story is that it reset cultural norms forcing TV stations and record companies to start respecting Black acts and giving them airplay. MTV infamously known for being cold towards black musicians, at the height of the Thriller run, played the 14 minute-long video once every half hour. Music historians have noted that Michael Jackson, and the success of Thriller, inspired and empowered a generation of black musicians a la Usher, R. Kelly, Prince etc. Thriller was a critically acclaimed collection mixing pop, rock and funk with great song writing and genre defining music videos to produce an album that received the maximum five stars from All Music and Rolling Stones. Generations since then have continually warmed to the album and even though it sold a million copies a week in 1982, nearly thirty years later, the album is still topping music download charts. In total the album is estimated to have sold over 100 million copies. As biographer Randy Taraborelli is quoted saying, “At some point, Thriller stopped selling like a leisure item—like a magazine, a toy, tickets to a hit movie—and started selling like a household staple”. The King is dead, Long live Thriller. This entry was tagged Michael Jackson, MTV, Quincy Jones, Thriller, Usher. Bookmark the permalink.